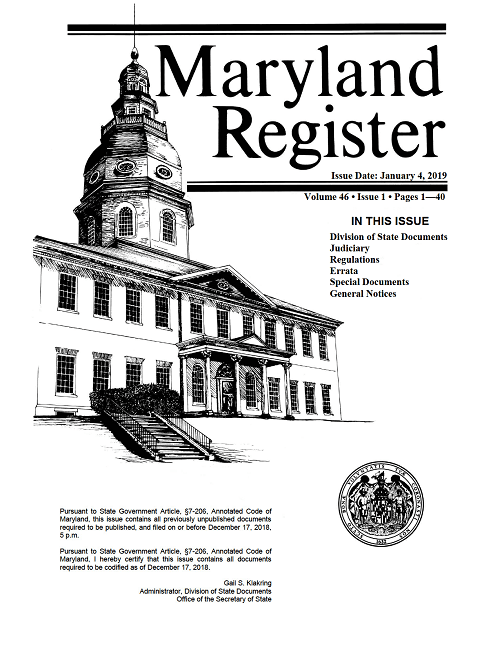 The State of Maryland published proposed building code regulations in the Maryland Register issued on January 4, 2019 at http://www.dsd.state.md.us/MDR/4601.pdf. The stated purpose of the proposed regulation is recodification of existing building code regulations and amendment to adopt certain of the 2018 Codes. Public comments may be made to the State of Maryland as noted on page 17 of the Maryland Register.